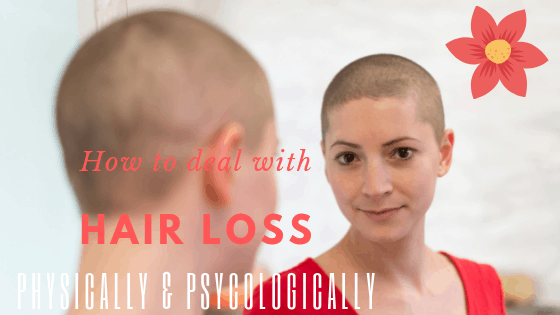 →How to Deal with Hair Loss, Physically and Psychologically? The hair is briefly defined as the crowning glory. But what if you have come to a time that your crowning glory is starting to fade, to thin, and eventually fall off? According to the hair loss statistics conducted by The Hair Society, there are 21 million women and 35 million men worldwide are affected by hair loss for a variety of reasons. Whether it is caused by heredity, health problems, or hormonal changes, reading this article will help you figure out the best option for you on how you can better understand and deal with hair loss both physically and psychologically. Common among adults with ages 35 to 80 for men and age 60 for women, depending on the root cause of the problem, hair loss is a threat to all ages. 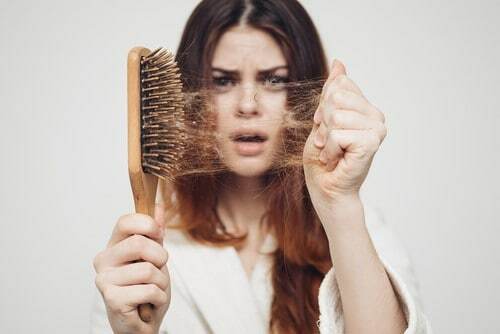 On a daily basis, a person loses a hundred strands of hair even though it is not noticeable since it eventually grows back. The disruption of the cycle of shedding and hair growth is the start of one’s hair loss catastrophe. When the process of hair growth is disrupted, it causes the hair follicles to be destroyed and is being replaced with scar tissues. When a person is experiencing emotional stress, it affects the cycle of their hair growth. The effects are not sudden. It takes two to three months to see the side-effects of emotional stress. The strands of your hair during or after experiencing stress undergoes the resting stage where the growth pattern is not normal. There are three conditions which trigger a person to lose hair due to stress. a. Trichotillomania - it is a condition wherein you have built the habit of pulling out your hair due to stress. It is a psychological condition where it is the only way people cope up with negative emotions as caused by stress. b. Telogen Effluvium - it is the most common condition which causes hair loss wherein instead of promoting hair growth, your hair follicles undergo the resting stage that it tends to fall out due to its sensitivity when touched, washed, or combed. Sudden changes in levels of hormones and poor nutrition can also lead to Telogen Effluvium. c. Alopecia Areata - a condition which is caused by a person’s immune system to attack hair follicles. It does not just deprive growth, it causes strands of hair to fall out. The condition will either result in thinning of hair, bald spots, or baldness as the worst case scenario. As of now, the field of medicine has not come up with an answer on what really causes it but they have come up with the hypothesis that heredity and genetics play a part. Medications are one of the causes of hair loss which is due to health problems. Some of the medications associated with hair loss are anti-depressants, blood-thinning medications, calcium channel blockers, and oral contraceptives. On cases of people with cancer, as they undergo chemotherapy, their hair falls off because the medications they use for treatments are not just destroying the cancer cells, but it affects the cycle and growth of your hair too. Medications taken both for the treatment for a person’s hair and treatment for health conditions are not suggested considering that it is one of the reasons why there are abnormalities in a person’s hair growth cycle. Hair treatments, styling, and coloring cause hair loss due to the contents of the treatment whether it is organic or artificial. These treatments harm a person’s scalp causing your hair follicles to be infected or inflamed resulting in alopecia. Before undergoing treatments for your hair, it would be best to make sure of the ingredients of the mixture they are going to use to treat your hair. Genetics play a part in causing your hair to fall off. 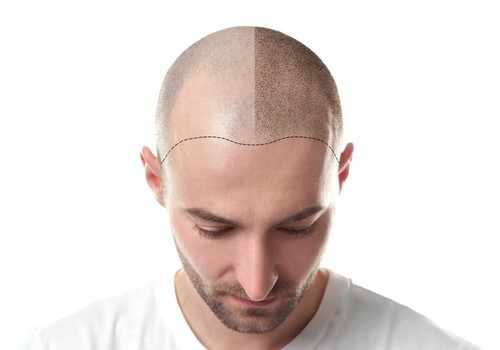 It is usually defined as female-pattern baldness or male-pattern baldness where when a person is already aging, the patterns are already visible considering that it runs in the family. It does not necessarily mean that your body is not in good condition, it’s just that, the growth of hair is not as healthy as before. If you are experiencing severe conditions of hair loss, it would be best to seek medical treatments rather than depending on natural home remedies. These remedies can possibly worsen the inflammation on your scalp alleviating its chances for growth if you haven’t sought for medical attention. Surgeries, medications, and therapies are possible for you to cope up with hair loss. The hair transplant surgery is one of the most expensive means of combating hair loss. It restores the damaged scalp or roots where your hair grows. After the restoration, it replaces and implants hair follicles. It is suggested to take medications right after surgery to minimize hair loss while a succeeding surgery is suggested for some depending on the severity of the damage hair loss has caused. For hereditary baldness or baldness as caused by genetics, medications are one of the best options rather than undergoing surgeries. Since some drugs deprive your hair follicles of growing, your doctor would suggest to minimize or stop your current medications to make way for your medications treating hair loss. Medications such as Minoxidil and or Finasteride are the most suggested varying on how severe your condition is. Minoxidil is a non-prescription medicine which has a liquid appearance needed to be rubbed onto your scalp on a daily basis. Meanwhile, Finasteride is a prescribed medicine for men experiencing hair loss. When taken on a daily basis, the hair loss will slow down and can regenerate growth. When you have been experiencing hair loss and seek for medical attention but you find the condition worsening or the medicines are not just working, it would be best to seek for natural alternative treatments. This way, you will be able to come up with natural medications and treatments that can work on your condition without compromising your safety and your money. One of the most economic alternatives to medical treatments is hair extensions . There are a variety of natural-looking hair extensions to choose from depending on what look you want to achieve and how long you want to use it. Varying in styles, colors, and lengths, hair extensions are a great solution for hair loss. Shaving your head is an option in treating hair loss. This way, the growth of your hair is on a different phase. Since the healthy and unhealthy strands are removed, while you are shaved, you can treat your scalp first on how to strengthen its roots to grow healthy and strong hair. Home remedy products are one of the suggested alternatives for surgeries and implants promoting hair growth. These home remedies are both efficient and economic since the ingredients can be found within your kitchen which makes it hassle-free and at the same time harmless. There are a variety of natural hair products being sold in the market treating hair loss and strengthening the growth of your hair. But, it would be best to avoid undergoing treatments or using products which are composed of chemicals that may possibly harm your scalp. Natural treatments involving aloe vera, green tea, licorice, yogurt, and honey, or Amla are some of the options you can try. If you are on a tight budget, there are some recipes on the internet you can try. Experiencing hair loss has a high possibility of increasing a person’s anxiety. This condition should not hinder a person from living a normal life. You may feel incomplete without your crowning glory but there are ways on how to make it grow on a regular pattern. Seek medical help to identify the severity of your condition and what are its causes before coming up with home remedies. Seek other options before coming up with the decision that you want to undergo surgery or implants. Nevertheless, you have to understand the condition you are in and take necessary actions.